Please join us for a night of pop culture fun on Thursday, September 22nd at 7:00pm to celebrate the launch of This is a Book About the Kids in Hall with author John Semley! John will read and talk about his newest book project, followed by a signing. 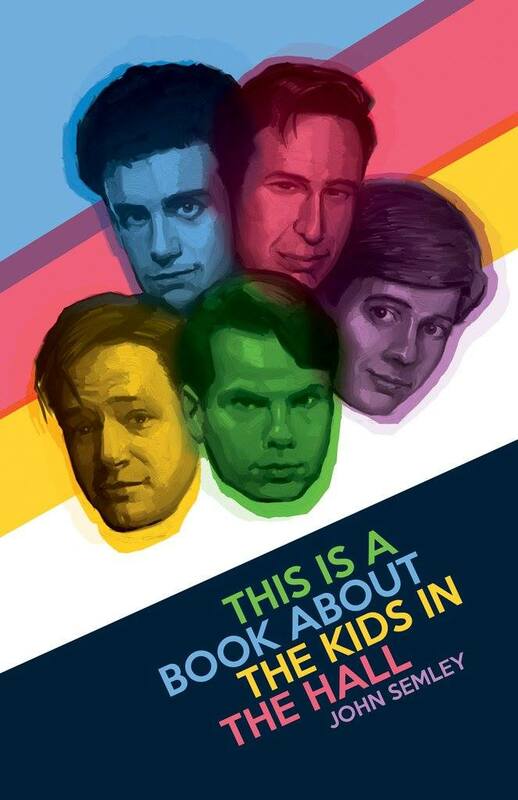 This is a book about the Kids in the Hall — the legendary Canadian sketch comedy troupe formed in Toronto in 1984 and best known for the innovative, hilarious, zeitgeist-capturing sketch show The Kids in the Hall — told by the people who were there, namely the Kids themselves. John Semley’s thoroughly-researched book is rich with interviews with Dave Foley, Mark McKinney, Bruce McCulloch, Kevin McDonald, and Scott Thompson, as well as Lorne Michaels and comedians speaking to the Kids’ legacy: Janeane Garofalo, Tim Heidecker, Nathan Fielder, and others. It also turns a critic’s eye on that legacy, making a strong case for the massive influence the Kids have exerted, both on alternative comedy and on pop culture more broadly. The Kids in the Hall were like a band: a group of weirdoes brought together, united by a common sensibility. And, much like a band, they’re always better when they’re together. This is a book about friendship, collaboration, and comedy — and about clashing egos, lost opportunities, and one-upmanship. This is a book about the head-crushing, cross-dressing, inimitable Kids in the Hall.